Improve your body confidence with The Ultimate Body Pack. If you suffer from cellulite, stretch marks, loose sagging skin, bingo wings, love handles, tummy rolls or saddle bags then this pack is for you. The pack costs €595 and includes 6 body treatments plus a full body assessment. The Ultimate Body Pack is excellent value for money as price per treatment works out much cheaper in a pack than single treatments. What treatments can I have? VelaShape is an effective treatment of cellulite, body contouring and fat reduction. The incredible VelaShape treatments can be performed on the abdomen, flanks (love handles), outer thighs (saddle bags) and inner thighs. What is the Heated Slimming Blanket? 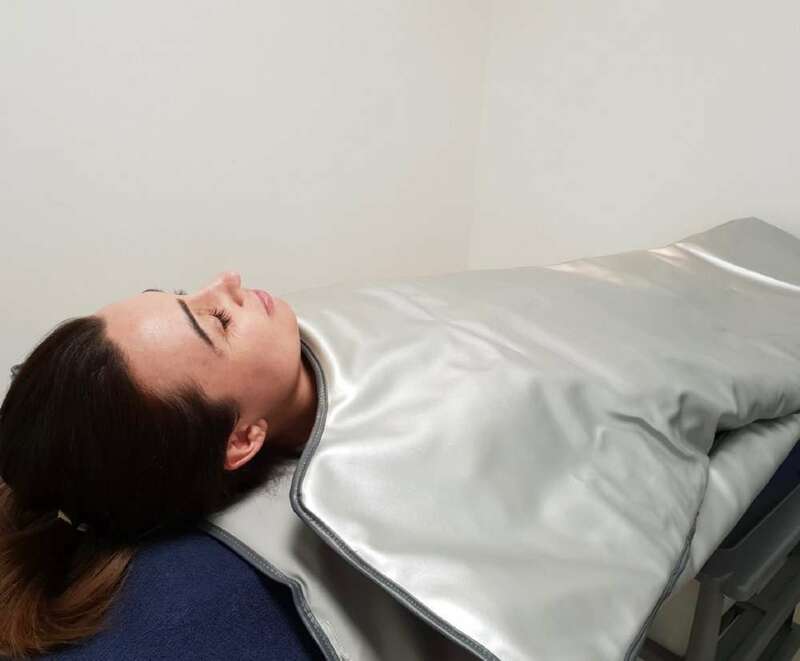 The Heated Slimming Blanket is an excellent weight-loss treatment which burns calories, detoxes the body, reduces cellulite and improves circulation, skin tone and skin elasticity. It is also an effective treatment for stiff muscles, sore joints and stress relief. RF Skin Tightening evens skintone and texture. It also reduces cellulite, fat and folds of sagging skin. Say goodbye to stretch marks, stubborn areas of fat and cellulite with carboxytherapy.